Omar will be on ‘My Top 10’ slot on Radio 1/1xtra, so keep your eyes peeled for more info from us, as soon as we know the date when it will be broadcasted, we’ll let you know. It will be a simulcast on both stations from 5-6am and then repeated on 1Xtra on a Sunday at 7pm. Omar will be picking his top ten tracks on a theme of his choice, and being interviewed; definitely one to watch out for. 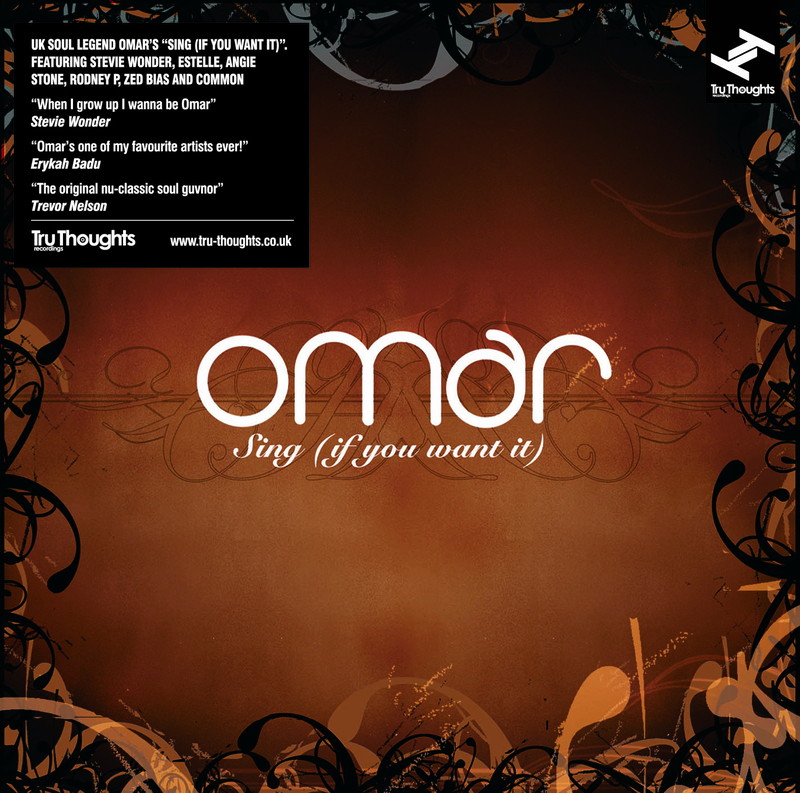 Omar Sing (If You Want It) (Tru Thoughts) was re released on 18th July 2011 with two bonus tracks, featuring collaborations with Stevie Wonder, Estelle, Common, Angie Stone.